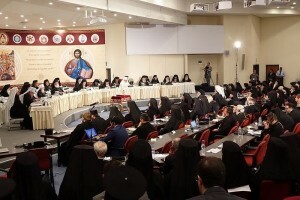 The document is approved by the Synaxis of the Primates of Local Orthodox Churches on January 21 – 28, 2016, in Chambesy, with the exception of representatives of the Orthodox Churches of Antioch and Georgia. 2) In the Orthodox Church, marriage is considered to be the oldest institution of divine law since it was instituted at the same time as the first human beings, Adam and Eve, were created (Gen. 2:23). Since its origin this union was not only the spiritual communion of the married couple – man and woman, but also assured the continuation of the human race. Blessed in Paradise, the marriage of man and woman became a holy mystery, which is mentioned in the New Testament in the story about Cana of Galilee, where Christ gave His first sign by turning water into wine thus revealing His glory (Jn. 2:11). The mystery of the indissoluble union of man and woman is the image of the unity of Christ and the Church (Eph. 5:32). 3) The Christ-centered nature of marriage explains why a bishop or a presbyter blesses this sacred union with a special prayer. In his letter to Polycarp of Smyrna, St. Ignatius the God-Bearer stressed that those who enter into the communion of marriage “must also have the bishop’s approval, so that their marriage may be according to God, and not after their own lust. Let everything be to the glory of God” (Poly. 5).The sacred nature of the God-established union and its lofty spiritual content explain the Apostle’s affirmation: Marriage should be honored by all, and the marriage bed kept pure (Heb. 13:4). 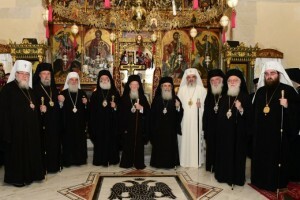 That is why the Orthodox Church condemned any defilement of its purity (Eph. 5:2-5, 1 Thes. 4:4, Heb. 13:4ff). 4) The union of man and woman in Christ constitutes ‘a small church, an image of the Church’. Clement of Alexandria affirms: “Who are the two or three gathered in the name of Christ in whose midst the Lord is? Does he not by the “three” mean husband, wife, and child?” (Stromata, 3.10, PG 8, 1169 В). Through God’s blessing, the union of man and woman is elevated, for communion is above individual existence as it introduces the spouses to a life in the image of the Kingdom of the Holy Trinity. A necessary condition for marriage is the faith in Jesus Christ to be shared by a bridal pair, husband and wife. The foundation of unity in marriage is unity in Christ, so that the marital love blessed by the Holy Spirit may reflect the love of Christ and His Church as a mystery of the Kingdom of God and the eternal life of humanity in the love of God. 6) It was always with necessary strictness and proper pastoral sensibility, in the manner of St. Paul, Apostle of the Gentiles (Rom. 7:2-3; 1 Cor. 7:12-15, 39) that the Church treated both positive conditions (the difference of sexes, legal age, etc.) and impediments (kinship by blood and affinity, spiritual kinship, an already existing marriage, difference in religion, etc.) for the conclusion of a church marriage. Pastoral sensibility is necessary not only because the biblical tradition links marriage with mystery of the Church, but also because the church practice did not exclude certain principles of the Greek-Roman natural law, which stressed that the conjugal bonds between man and woman is “a communion of the divine and the human law” (Modestin) and are compatible with the sacred nature attributed by the Church to the mystery of marriage. 7) In today’s situation so unfavourable for the sacrament of marriage and the sacred institution of family, bishops and priests should actively develop pastoral work to protect the faithful by supporting them, asserting the institution of family on a solid foundation that cannot be destroyed either by rain or streams or winds, since this foundation is the rock which is Christ (cf. Mt. 7:25). 8) Marriage is the heart of the family, and the family is realization of marriage. 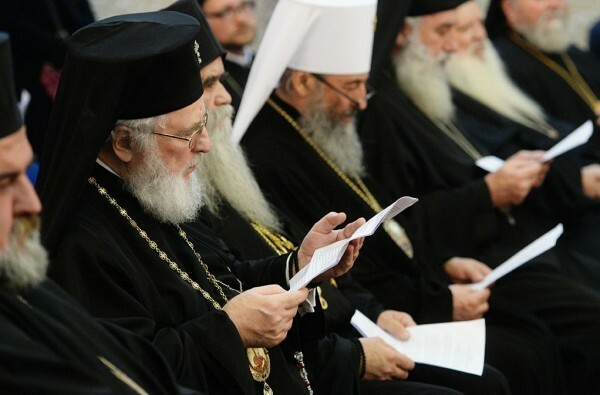 In today’s world, a real threat to Orthodox Christians is constituted by the pressure to recognize new forms of cohabitation. 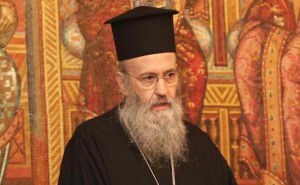 The deepening crisis of marriage is a matter of profound concern for the Orthodox Church not only because of negative consequences for the whole society and a threat to internal family relationships, the principal victims of which are married couples and, in the first place, children because regrettably they usually begin to martyr innocently from their early childhood.